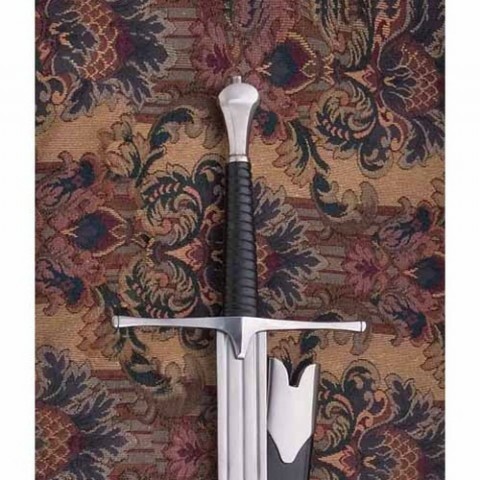 May also be referred to as the WAR SWORD or GREAT SWORD. Its great length gives increases reach, power and velocity. Long ricasso allows the blade to be gripped past the guard to give greater control and enable a spear-like thrust in close combat. Has steel pommel and guard. Ridged wood grip handle wrapped with leather. Overall length 122cm. Weight 1.4kg. 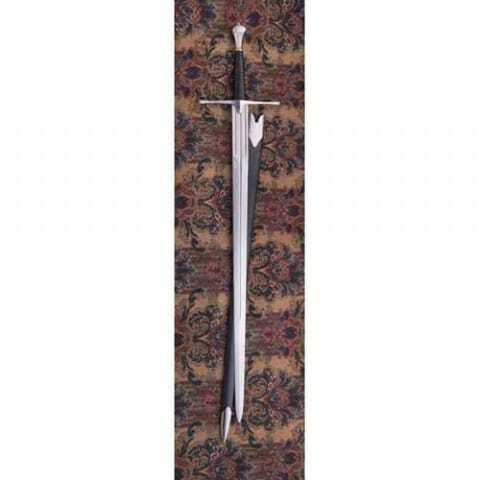 Includes leather scabbard with steel parts.